Blade-Tech makes the best Kydex OWB holster for competition, training and everyday carry. 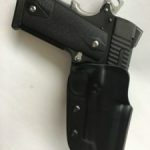 If you are looking for a high quality, durable custom kydex holster to carry your handgun securely on your belt for competition, everyday carry, defensive or tactical handgun training, this type of holster is a very popular option. This Blade-Tech holster is recommended for IDPA and other competition that require fast draw with good retention. Blade-Tech holsters are custom made to fit your particular handgun. It is the holster recommended for firearms training classes at Front Sight Firearms Institute and other training schools. UPDATE: Blade-Tech Signature Holster is now available. 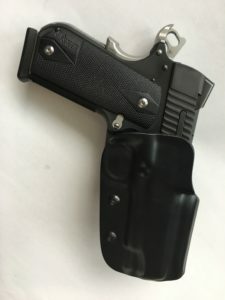 Blade Tech has recently come out with their Signature Series OWB Holster that is a much more affordable version of the classic holster, coming in under $30! Check it out at Cabelas! 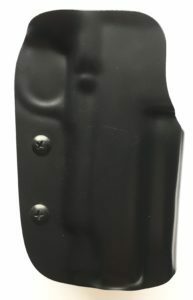 The classic holster that I will review below is one of the most popular outside the waistband kydex holsters available. This is due to the fact that they are high quality and always hold their shape for smooth, fast draw and safe re-holstering. I have used mine for 6 years now and 7 multiple day training classes and I would not use any other holster. I have used it for one handed malfunction drills. This means using the top edge of the holster to rack the slide. 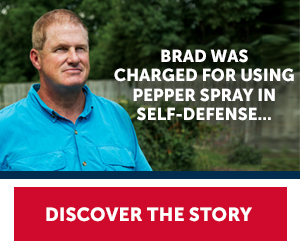 Try that with a leather or cheap holster and you will not be a happy camper! I have rolled around in gravel while training in the Advanced Tactical Course with this holster on my hip and it took the punishment like a man! It did not move, fall off or sustain any damage whatsoever. Having your firearm in a Blade-Tech holster on your “firing side” hip is the best way to carry for training and allows the fastest access for self defense. Adjustable cant; muzzle fwd, straight, or FBI style cant to the rear. Hand formed, folded and finished. Perfect OWB holster for work, competition or personal defense. Tek-Lok attachment is fully adjustable and easy on/off. 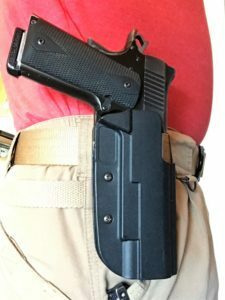 This is the perfect holster for people who want to compete, train or carry their concealed or open carry gun on the hip in the 3 o’clock position. Each holster is made specific to your weapon. This provides a custom fit, covering the trigger guard for safety and creating excellent retention. Products to fit Glock, Sig, 1911, Ruger, Beretta, Keltec, Kimber and over 30 other brands, and hundreds of models they are sure to have the holster for your gun! Easily adjustable retention, tilt and ride height. Make it fit just right for you. Tek-Lok attachment system is removable and replaceable. You can swap it for a dedicated belt or paddle attachment. I bought the 1911 version for my Kimber Pro Carry II 6 years ago and another for my Sig Sauer Nightmare a few years later. As expected, they both fit the guns flawlessly. I really like the Tek-Lok feature which allows you the flexibility to use the holster with a 1.5′ or 1.75′ tactical gun belt. Simply remove and adjust the included inserts to fit your belt. 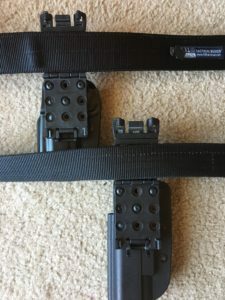 Another benefit of the Tek-Lok attachment is that you can take the holster on and off your belt easily without having to remove the belt and thread it through a belt clip. The closure on the Tek-Lok will not come loose at any time, it is very secure until you decide to remove it. 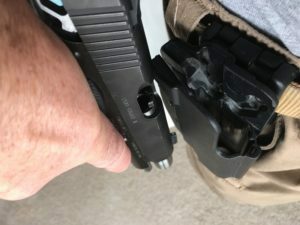 The holster was exactly what was needed for the training and I noticed that a lot of other students also had the Blade-Tech holster for their firearms. I also use this holster for concealed carry in cooler weather, when I am able to wear clothes that cover the gun. A light jacket or un-tucked flannel shirt work best when I am out and about, knowing my 1911 was close at hand. I found I could draw smoothly and quickly every time, and re-holstering was easy as well. I have since used the holster for 4 Defensive handgun classes and one Tactical Handgun course over the past 6 years with no issues whatsoever with the holster. During the Tactical course, we learned to clear malfunctions one-handed, and how to rack the slide using the holster. I believe a lower quality kydex holster would have been damaged by this manipulation, but not the Blade-Tech! Racking a 1911 slide on the holster. I did not experience any movement of the holster or concern that the gun was not secure as I went about my training. When you don’t think about your gun, it means you have a secure, comfortable holster! The shooting and dry practice for all these courses add up to drawing and re-holstering literally thousands of times. This holster is super durable still looks almost new. Overall, I will say this holster is far better than any other OWB I have tried. 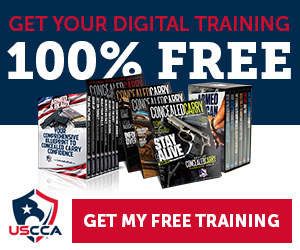 I recommend this as a must-have, especially if you are going to a firearms training class. I will buy another Blade-Tech for my next gun. I have also purchased Blade-Tech magazine holsters for my 1911 and my AR-15. I certainly could have gone with a cheaper brand, but I know my Blade-Tech holsters will last forever! ==>Blade-Tech Holsters are available at Cabelas. I am not familiar with guns or holsters but my husband is. I know he will find value in this article and I will be shore to share this with him. The first one you mentioned that you really liked looked really big. Does it feel awkward while wearing it? You seem to have a lot of knowledge about this and I thank you for sharing! Nicole, thanks for the comment. It probably looks big because it is a full size holster and a full size 1911 I have in it. It is really not awkward at all once you get used to it. Very nice review and thoroughly explain with all the necessary information. I was looking a high quality, durable custom kydex holster for my handgun and your review has given the exact information I was looking for. Thank you and I will surely share this post with some of my friends. Thanks for the comment! 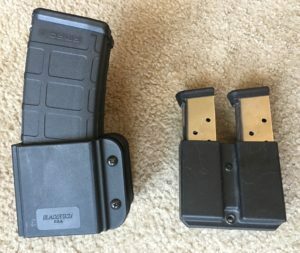 Blade Tech has quality holsters and they recently came out with a nice one that is less expensive than the one I reviewed. I have updated the post to include it.